Author of the newly released historical novels, THE REVOLUTIONIST and its sequel, BURTON BLAKE, Robert Tucker publishes under a multi-book publishing contract with Tell-Tale Publishing Group LLC and its affiliate Wise Words Publishing Group LLC. 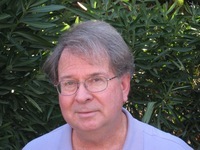 BURTON BLAKE is published under Robert Tucker. Other novels under Robert M Tucker. The author of four previous earlier novels, Robert infuses his books with unique dynamic stories and characters that portray social and cultural conflicts of their time. His career encompasses many years as a business consultant that have given him access to a wide range of organizations and an appreciation for people in all areas of society. His life experience is reflected in the literary quality of his work. 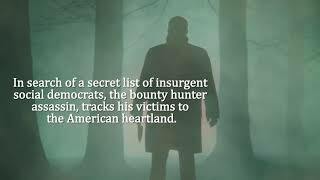 Born an Author of the newly released historical novels, THE REVOLUTIONIST and its sequel, BURTON BLAKE, Robert Tucker publishes under a multi-book publishing contract with Tell-Tale Publishing Group LLC and its affiliate Wise Words Publishing Group LLC. The author of four previous earlier novels, Robert infuses his books with unique dynamic stories and characters that portray social and cultural conflicts of their time. His career encompasses many years as a business consultant that have given him access to a wide range of organizations and an appreciation for people in all areas of society. His life experience is reflected in the literary quality of his work. Born and raised in the Middle-West, he has traveled throughout the United States and abroad and resides in Southern California. To ask Robert M. Tucker questions, please sign up. Robert M. Tucker I would like to see the world in the next 40-50 years and be able to ensure my children and grandchildren are living healthy and productive lives. We’d love your help. Let us know what’s wrong with this preview of Burton Blake by Robert Tucker. We’d love your help. Let us know what’s wrong with this preview of American Hookup by Lisa Wade. We’d love your help. Let us know what’s wrong with this preview of A Ladder to the Sky by John Boyne. We’d love your help. Let us know what’s wrong with this preview of Unsheltered by Barbara Kingsolver.